Dat mot*********g LIMIT BREAK!! Aichi used on Kamui. Too bad Kamui lost immediately after LIMIT BREAK!! happened, and next week, Misaki's confirmed for screwed. She's fighting Rekka, who seems to be using Angel Feather. She's obviously losing this one, since she rode Tagitsuhime and Euryale next week. Koutei was such a god that turn. Then he took a Blaster to the Storm. You can still call me Kira. Raws generally don't get released until Sunday morning. He probably watched it live somewhere. I direct you to the guy who answered you. [Ephraim] wrote: Raws generally don't get released until Sunday morning. He probably watched it live somewhere. I watched on Keyhole, as I've probably mentioned before. I'm too damn lazy to deal with bad!subs, so I just watch live. Apparently I've seen so much anime, I know what's being said/done. Live-Action Cardfight!! Vanguard starring MOTHER f****** DAIGO!!! I can get a pretty good idea of what's going on and stuff now, but subs are still nice. Though with the quality of 67's, I preferred the raw since I didn't have to deal with my mind wandering off to marvel at all the non-proofreading and horrible text that the subber managed to come up with. Personally, I think that it'd be find if it were a live-action movie, but since I'm pretty sure it's a new series altogether, I'm incredibly keen on it since the anime's okay already, but I do want to see what they come up with. Why was only White Tiger shown. And why are the games suddenly getting more... dull? I like the destroyed areas of Cray now too. Fits the lore. Kirino Kousaka wrote: Saw the new episode. In this episode, it's not the fight that mattered the most. It's what was going on. Kamui was conflicted between staying with his old friends, his mentors, the guys who basically taught him everything about the game, or stick with his 'older brother' to move on to bigger waters. And Kamui's getting more fights as we go along, so not showing Azure Dragon's a good idea. Johnny Raptor wrote: And Kamui's getting more fights as we go along, so not showing Azure Dragon's a good idea. Why not just have him keep Battleraizer or something then? Location : Just Howling in the shadows. Calling it now. Takuto is main antagonist of S2. Considering he's probably /that/ guy the PSY Girls were talking about, I'd say he's more of an antagonist-ish protagonist. In the sense that he has to push the main character to a certain direction so he can face off with the real big bads. Season 1 all wrapped up in one video...its amazing. I saw this on NAC a few weeks ago after 65 was done. Only reaction my friends and I had: Best. Recap. Ever. I CAN LISTEN TO THEIR SONGS WITHOUT "KOURIN-CHAAAAAAAAAN!!!!!!!!!" IN THE BACKGROUND FOR HALF OF IT. 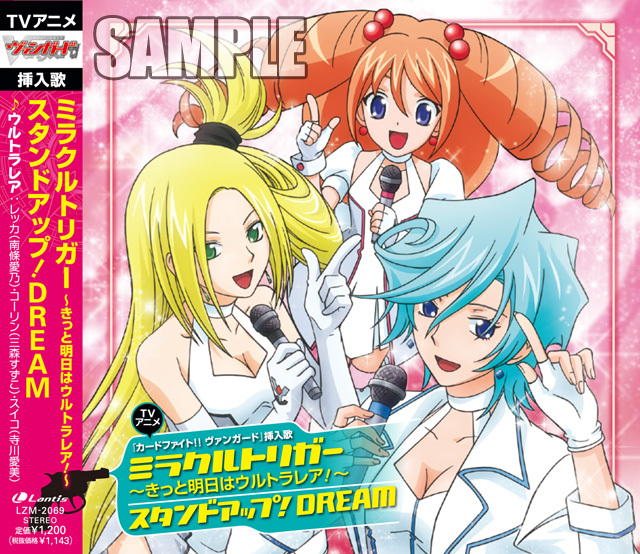 So this is some sort of CD that had Ultra rares songs? hmm, i think i would buy it if I could find it.